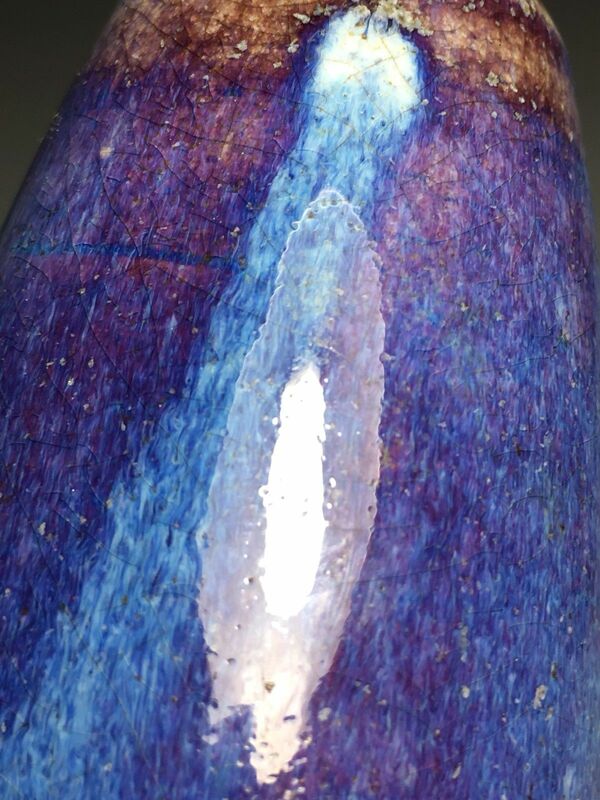 I recently acquired this vase. 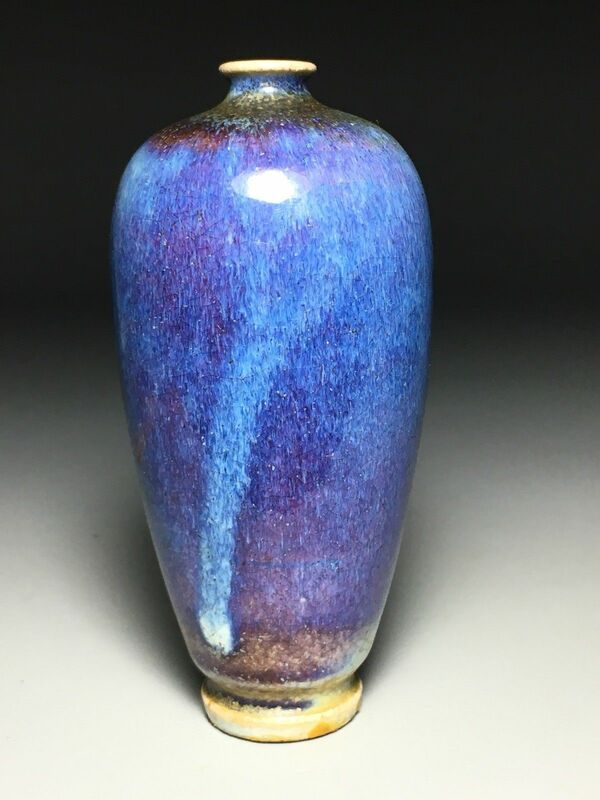 Is this an authentic Junyao glaze vase? It is about 6 inches tall. How can you tell if it is antique? Is it valuable, and if so, how much? When was it made? 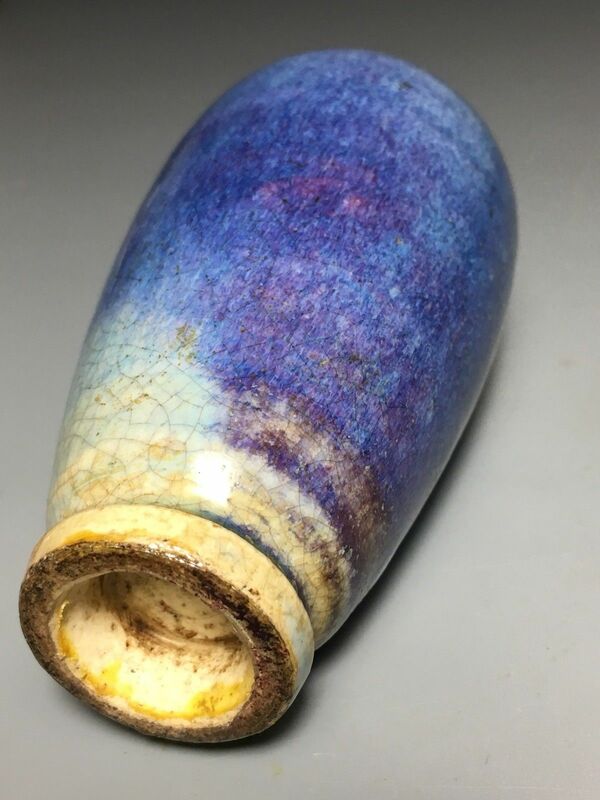 Is this porcelain, pottery, or earthenware? I assume it is Chinese. It appears to have been glued at one point to a stand to prevent damage. The glue could be easily removed. Should I remove the glue? Any and all assistance would be greatly appreciated.